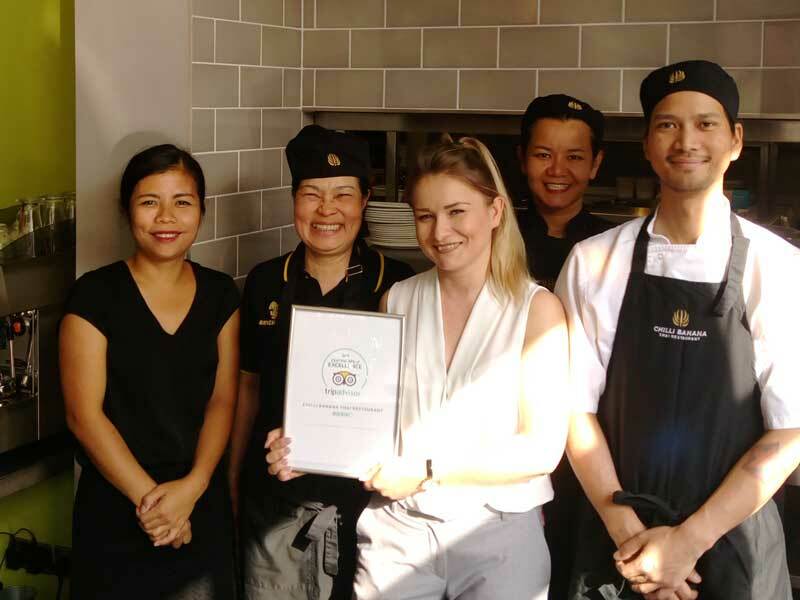 Once again we are proud to announce that we have been awarded TripAdvisor’s 2018 Certificate of Excellence for our Great value, authentic Thai cuisine and service, which was received by Team this month. Pictured are Joy, Jiraporn, Aleksandra, Thumma and Punmuang, just some of the Team responsible for all the hard work in achieving the continued success. Well done to all.